Hong Kiat is currently the Head of Technical Services in NUS Libraries. The Technical Services team handles back-end processes and services that are absolutely essential to the library, such as the purchasing and cataloguing of books and electronic resources, as well as maintaining smooth access to online journals and databases. Prior to heading Technical Services, Hong Kiat headed the Subscriptions Team, which focuses on handling the numerous journal subscriptions that NUS Libraries provides for our users. 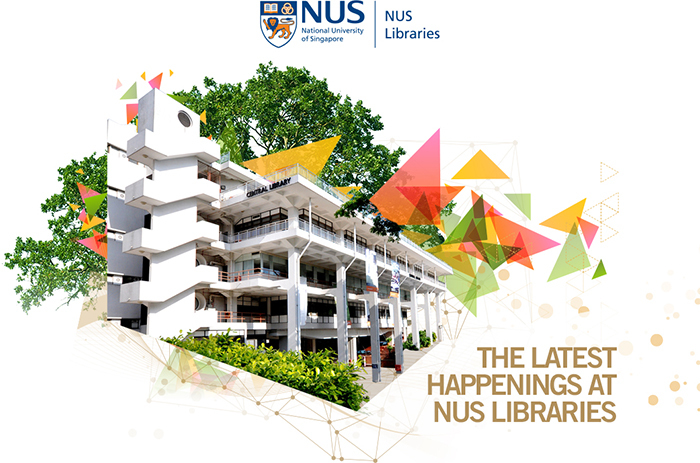 Whatever the job title, Hong Kiat perceives her main job as that of serving users – the community of NUS staff, students and alumni who use the library services, facilities and resources. It is with this goal in mind that she goes about her daily duties, whether it is approving invoices for library purchases, or negotiating to get the best deals at the best value. When handling queries about subscribing to new titles, Hong Kiat sometimes has the unpleasant task of informing a user why the Library cannot subscribe to a particular resource. Instead, she suggests viable alternatives such as Document Delivery Service (DDS). However, she never really closes a case on journal recommendations, as she never feels good when she has to say no. Instead, Hong Kiat looks into negotiating for the title when subscribing to bundles of journals from publishers. Like other librarians, Hong Kiat also has reference desk and online chat duties at the Central Library, which she feels helps her connect more closely to the users. She finds that users are generally kind and understanding. Hong Kiat joined the library – in her own words – “decades ago”, fresh after graduating with her Microbiology Honours Degree. She later went on to do her Masters in Information Science. She candidly confessed that she would choose the library over and over again, when asked if she would have chosen a different path. In her first two months with the library, she learned cataloguing from Mr Tim Yap Fuan, whom she describes as a very caring mentor and a “walking encyclopedia”, especially for information on Singapore and Malaysia. Later, she was posted to the Science Library. She still fondly remembers using the dial-up modem to connect to databases using the phone-line (Gen-Z and Millennials may want to ask your parents what this sentence means!). Hong Kiat is grateful to her mentors who paved the way for her career: Miss Sylvia Yap (retired University Librarian of NUS Libraries) taught her how to use the dial-up databases; Mr Ng Kok Koon (retired Head of Music Library) helped with IT issues and Mrs Lim Ah Eng (retired Senior Librarian in Technical Services) gave her further training in cataloguing. Their dedication and willingness to help have inspired her and kept her going. Hong Kiat deeply appreciates the camaraderie and support she receives from both colleagues and supervisors. Before returning to the Central Library where she is now, Hong Kiat also spent some years in the Medical Library. The needs of the Medical faculty were more challenging but in turn, the staff and students were also more appreciative of the help given by the librarians. Often the Medical Library staff would receive small gifts at the end of the year, such as the professor who would bring cookies as a gesture of gratitude after Hong Kiat assisted him. Going forward, Hong Kiat is both anxious and hopeful in her new role as the Head of Technical Services. She is aware of what she has to accomplish, and hopes that she can rise to the task. She plans to communicate more with individual library staff, to ascertain their development needs, aspirations and interests, to ensure that she can not only place people where they are needed, but ideally where they wish to be. Mrs Lee Cheng Ean, our current University Librarian of NUS Libraries, advised her to concentrate on the strengths of people when assessing them. We wish Hong Kiat the best in her new role, and we are sure that she will nurture her staff the same way her mentors nurtured her when she first joined. She is a wonderful colleague to work with! Jia You Hong Kiat!